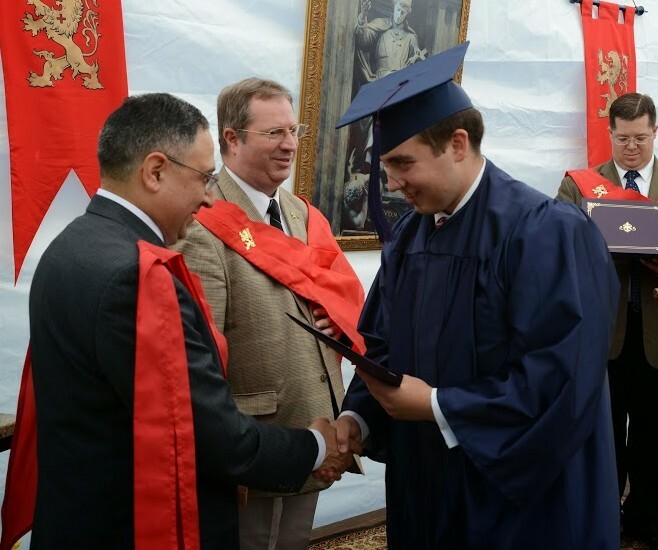 Unlike so many high school graduates who search for mere mediocre pleasure or personal gain, the St. Louis de Montfort Academy graduates of 2014 are charting a different path of great promise for America’s future. The small but expanding private Academy in rural Pennsylvania is forming a new generation to do just that: fight the good fight. These students stand out for their good manners, crisp uniforms, polished shoes and a strong and manly desire to serve God. They frequently join TFP Student Action volunteers on tours that defend innocent life or the sacred institution of marriage between one man, and one woman, which is under attack. They feel at home on the front lines of the culture war, eager to promote moral values and face stiff opposition. “Here, I received a solid formation of character and a strong foundation of Faith. Forever will I be indebted to my parents who were constantly giving me support and encouragement to continue my studies, through thick and thin. Aside from academics, this school taught me lessons that were much more important: ideals, and how to put them into practice. “This school has taught us the quality of principles, of doctrine, of virtue, and has given us a love for Holy Mother Church. 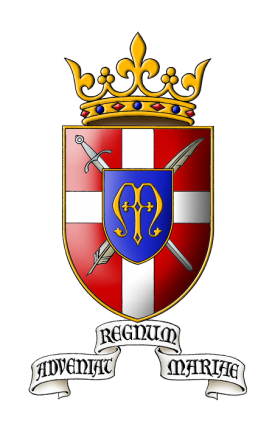 The Saint Louis de Montfort Academy is an institution with a mission. This mission is to foster the militant Catholic spirit with a goal. Our goal is to restore and defend Christian Civilization. “The Academy offers young men the opportunity to defend Catholic doctrine. After all, we’re not weekend warriors. We do this for life. “Refusing to let such enemies of God defile Our Lord in the Holy Eucharist, we hastened to Harvard to protest this abominable sacrilege. The protest ended at night and we found ourselves surrounded by a group of angry satanists who were screaming blasphemies and insults against Our Lord. We felt like we were facing the devil himself. By God’s grace, we stood our ground and the black mass was canceled at Harvard. We went, we saw, and God gave us victory. “This provides a glimpse of the future for the graduating Class of 2014. What can we do? Well, now is time to perfect what we have learned at the Academy and put it into practice because practice makes perfect. Now is the time to continue fighting for those ideals and principles which are the foundation of a true Christian society. “To finish, I will tell a story of a young man who wanted to join the military during the Vietnam War. The different military branches came to his school and gave their separate promotional pitches. An Army officer came up and said, “We offer great benefits and good positions. You’ll rise quickly to the top!” The other branches had similar offers. But lastly, a U. S. Marine entered and said: “The Marines won’t offer you an easy life, good pay, benefits or prestige. I, as a Marine, can’t promise you a life of comfort or pleasure. I will only promise you a life of pain, suffering, blood, sweat, and tears.” And with that, the Marine walked away and the young man was inspired. The same idea applies to life after the Saint Louis de Montfort Academy.